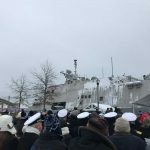 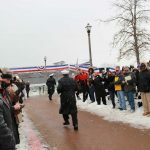 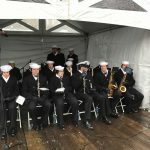 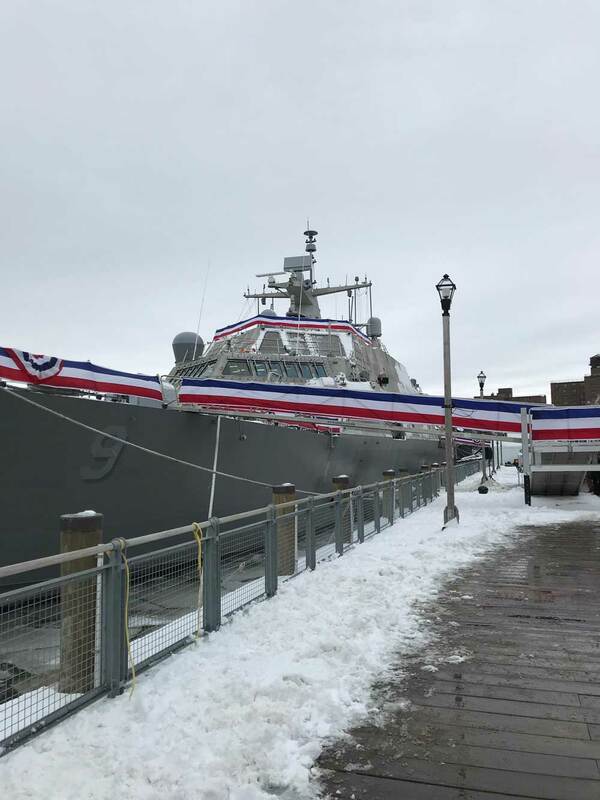 More than 8,500 people attended the Commissioning of the USS Little Rock LCS 9 braving the cold and snow on Saturday, December 16, 2017. 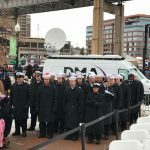 All in attendance from veterans to dignitaries to families of the crew and active duty military, were bundled up and eagerly waiting for the USS Little Rock to finally be commissioned into US Navy. 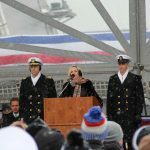 Principal address from the Honorable John Boozman. 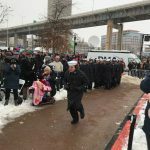 As Mrs. Janée Bonner gave the command to “man the ship and bring her to life” the crew ran up gangplanks onto the USS Little Rock LCS 9 and took their positions, and at one point saluted the crowd from the ship’s rails. 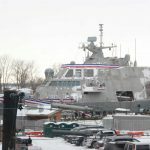 LCS 9’s systems sprang to life and her horn gave a deafening blast to the delight of all in attendance. 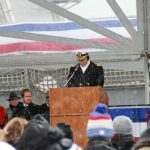 In his remarks, Commander Todd Peters complimented LCS Crew 109 Warhawgs as well as the support crew LCS Crew 115 Scorpions for their commitment and skill. 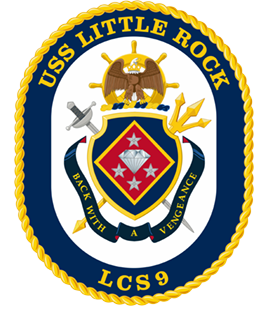 He also took the time to honor veterans and members of the Little Rock Association in the audience and told them it was their turn to “rest easy, we have the watch.” CDR Peters also thanked his wife and all the families of the “Little Rockers” for their support of the crew over the many months leading up to commissioning. 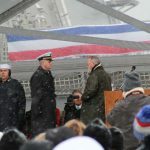 You can watch a video of the full commissioning ceremony here.